Why does Israeli society fear empowered Arab women? In many countries the success of a young woman from a minority group would be celebrated on the left, and throughout society. But not in Israel. Gideon Levy’s oped is not an exception, but the rule. Many people pretend his views are fringe, but in fact they are mainstream among may on the so-called Israeli “left.” He is accepted and celebrated in many sectors of society. Anti-racism groups don’t condemn the way she was described. Unlike Jeremy Clarkson or any number of well known people in other countries who have expressed offensive opinions against minorities, there will be no reprimand for Levy; just as there was no reprimand after he claimed Russians have “crime in their blood.” Israel doesn’t reprimand people for racially-charged comments against Arabs, especially not Arab women. It was not so long ago that leading Israeli politician and Minister of Finance had called Arab politicians “Zoabis”, referring to the Arab Knesset member Haneen Zoabi. He later apologized, but why did a major politician speak this way in the first place? Because that is the way people speak in Israel. “The Zoabis” or “you don’t look like an Arab” and “the Arabs are primitive.” Execute them. Hang them. They are traitors. That is all normal. Hatred, discrimination and stereotyping of the Arab minority is normal. It isn’t a few “crazy racist cranks,” it is the normal hegemonic view on the left and right. From the man on the street, talking about “the Arabs” to the halls of the university where the vicious stereotypes of “what an Arab is” are normal, it is the most normal element in Israeli society. Even though we hear about “coexistence” and various groups that oppose racism, the fact is that not only are these groups tiny and marginal, but in many cases they can’t even agree on what is racist. The comment “does not look Arab, sound Arab or dress like an Arab” speak to the heart of the stereotypes of Arabs. But they especially are directed at Arab women. 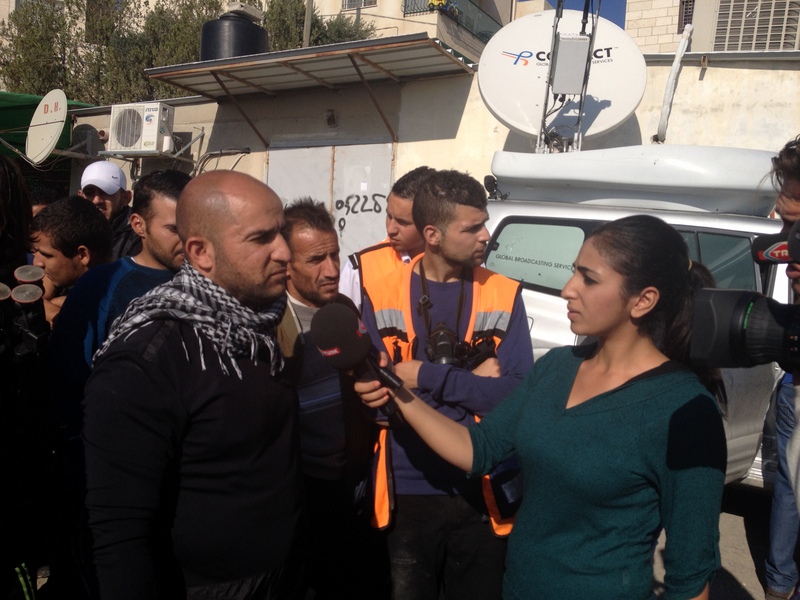 Why is Haneen Zoabi, almost everyday, the target of attacks in the media and by politicians? Why were comments by her saying kidnappers of Israeli teenagers were not terrorists met with such outrage when Jewish Israelis say the same thing? In 2001 Israel Prize winner and academic Zeev Sternhell wrote: “Many in Israel, perhaps even the majority of the voters, do not doubt the legitimacy of the armed resistance in the territories themselves. The Palestinians would be wise to concentrate their struggle against the settlements.” Zoabi was investigated for her comments, berated in the media and the Supreme Court told her that her views goes beyond what is acceptable. Sternhell got an award, Zoabi was hated. There is fear in Israeli society about Zoabi and Aharish. It is because they are empowered Arab women who demand equality. They demand to sit on the same stage as Jewish men and women. They demand to be in the same class, to have the same access to services and rights, even to live in the same neighborhoods. When Jewish Israelis say “she doesn’t dress like an Arab,” what are they referring to? What is “Arab dress”? What is “Jewish dress”? Jewish Israeli society assigns to itself not only the “norm” but also a diversity. A Jew can wear a kaftan, a coat, a black hat. A Jewish woman can wear a wig, or a modest dress or a bikini. Palestinian Arab society before the establishment of Israel was rich and intellectual. It had doctors, lawyers, architects, academics and intellectuals. It had its rich and its poor. 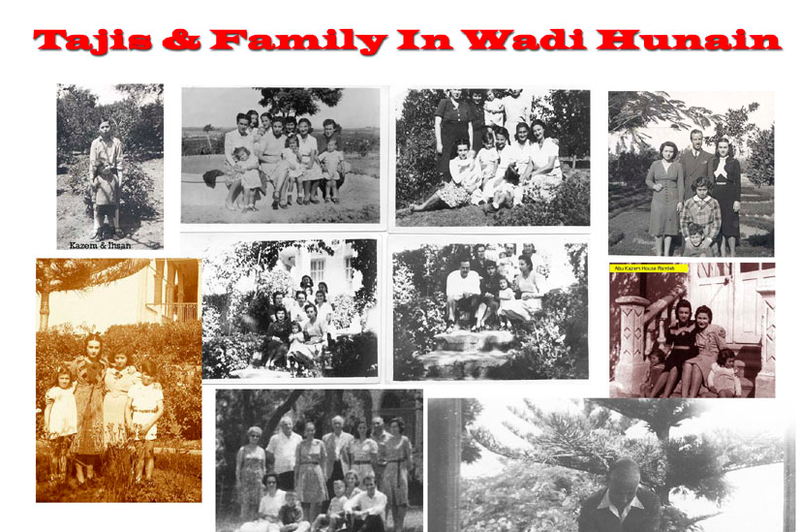 Look at how the Taji family in Wadi Hunein dressed. Much of Jewish Israeli society fears these pictures. They don’t want to hear that in 1926 that leading Palestinian Arab Muslim families were more intellectual, more well educated than most Israelis today. They don’t want to see a picture that reminds them of photos of their own families in Europe. They don’t want to think that the Tajis or Dajanis were wealthier than their family when they got off a boat in Haifa in 1950. Think about it. Israeli elite society often has its acceptance committees that regulate who can live where. Israeli society is divided and its education system segregated. The separation is predicated on the idea that the Arab culture is different than the Jewish culture. Arabs, and Jewish minorities (Mizrahim, Ethiopians, etc) are not “proper social material” for many rural Jewish communities. So Arabs must live in “Arab villages” and Jews on “moshavim and kibbutzim.” Imagine a Jewish Israeli-born student who goes to a separate education system growing up and lives in a community where Arabs are not allowed to live. In many communities even entrance to the public pool is not welcome to Arabs. Imagine that these Israelis raised in a divided environment go abroad and find themselves, say studying in France. And they find themselves in a class with Arabs, with Arab women. And those women are more well educated, more articulate, and doing better in class. That’s fear. Real fear. Because that forces someone to admit that Arabs are equal, they are just like Jewish people, they can achieve at the same rate, they have the same dreams and hopes, and yes, they may be culturally superior, they may be wealthier. Imagine the fear of someone in Israel in a university where people “take pity” on Arabs and speak about “how an Arab dresses” and read Gideon Levy everyday and thinks “this woman doesn’t sound Arab”; imagine the fear of seeing a university, say in Dubai or London or Boston, where the staff is made up of many Arab women who are more well educated than Israelis. Imagine the fear of seeing Arab female doctors. It’s fear because it says they are equal and no acceptance committee here kept them, no sub-standard education provided to them or Arabic-only education system is there to keep them from competing. Imagine an Israeli who must submit an article to an academic journal and the editors are Arab women. What will he do? Now it isn’t his acceptance committee and his security guards and his pool saying “no Arabs,” now he must prove himself. He can rest on the concept of “the Zoabis” and “these women don’t talk like Arabs”, but what scares him most is the knowledge they are Arabs. They are Arabs and they are just as good. The inequality forced upon them through years of discrimination and separate systems for them in Israel is not there outside of Israel. Haneen Zoabi challenges Israelis. It isn’t because she excuses terrorism, many Israelis do that. It is because she doesn’t play the role assigned to her. Neither does Lucy Aharish. It isn’t because they don’t “dress like an Arab,” because it is Israel that has invented the concept of what an Arab “should” do, just as Orientalism did in the past. Israelis say “that’s Arab labor” and “Arab work.” But Arabs outside of Israel don’t fit into that box. Arabs are army generals and architects; doctors and writers. Arabs served as a chief of staff for Ronald Reagan and have risen to the highest levels of finance in the US. Everywhere in the world Arabs are excelling at things that make Israelis not want to look twice. And that scares people. Because it means the little special line at Ben-Gurion Airport for “the Arabs” for the “special security” and racial profiling, might not see her. It means she can eat at the same restaurant. It means she might be your neighbor. And then when you go and shout about the “primitive Arabs”, you might see that they are there with you. Just as abroad in America or Berlin, or Dubai, they are equals to you, and the little experiment of thinking they could forever “know their place” won’t work. One hopes that there will be a million more Lucy Aharishes, a million more Arab women in Israel to demand equality and demand to be in every occupation and live where they want and dress however they want; until this Israeli society stops its racist views and begins to accept them as equals; not beneath, not to be talked down to. That day will come, maybe not soon, but it will come. And then people should ask, did the Gideon Levy policy help Israel. Did hating them and disregarding them and deciding “I know how the Arabs talk, I know how they dress and look” help? Maybe it was a mistake. Really, I am astounded by the way Frantzman tries to twist the meaning of Levy’s Aharish piece to make a point about open and hidden racism.